Over the past few years, Americans have been crying out for some way to reduce the dependence on oil. Part of the concern is the thought of the world eventually running out of oil. Another part is the pollution and yet another part is that so much had to be imported from other countries that a) don’t like us, b) jack up the prices, depleting our finances and c) use our money against us. At home, people worry about pollution, and rising prices, more wars that we don’t want to get involved in and independence from other countries. The battle of environmental concerns versus expanding technology, American economic independence and our way of life as Americans may be fracking’s future. A new Institute for Policy Innovation report will not been seen as good news for Americans fixated on alternative energy sources. Two things have catapulted the US to become the world’s top oil producer. Those two things are fracking technology and horizontal drilling techniques. To understand this energy breakthrough, we need to break down America’s oil production. 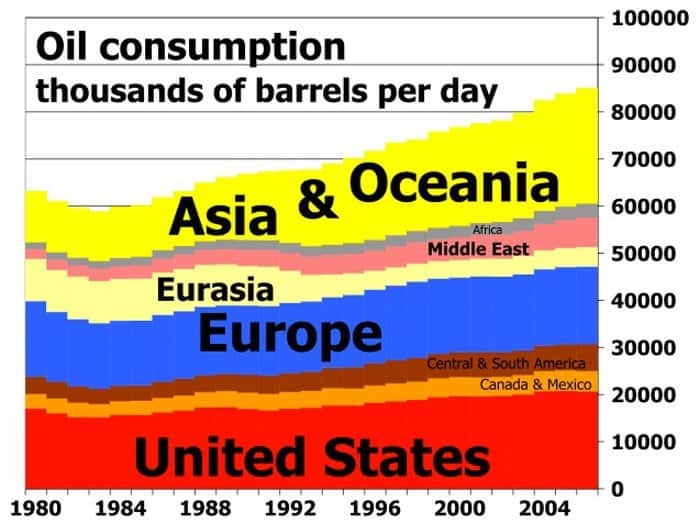 In 2013, US daily combined production of crude oil, natural gas liquids, and bio-fuels stood at around 12.1 million barrels per day. Let’s compare that to two countries that are production leaders. Saudi Arabia, which is likely the first oil-producing country most Americans think of, produces 10 million barrels of oil per day on average. Russia also produces 10 million barrels per day. Looking only at crude oil, U.S. production reached a record of 991,000 barrels a day in 2013, according to the International Energy Agency. What is more important for us is that our imports dropped by 16 percent, meaning that instead of sending $310 billion overseas, that number dropped to $268 billion. That was a fast change. What happened? The answer to that question is a single word – the word that may soon be on the lips of every American that yearns to see us finally stem the flow of US dollars out of the country and at the same time stem the flow of imported oil into the country. That word is “Fracking,” or more accurately, shale-gas production. It is being done in North Dakota and Texas, and there is a shale formation that crosses parts of West Virginia, Ohio, Pennsylvania, and New York. Fracking now produces a record 44 percent of our total natural gas output. As late as the 1970’s, it was predicted the United States would run out of natural gas between the early 1990s and 2008. U.S. oil production did decline rapidly, but it looks like American ingenuity has come to the rescue. Saudi Arabia, being savvy traders, knew that the laws of supply and demand were in their favor and world oil prices skyrocketed, as U.S. imports increased. America was caught in a stranglehold. Oil compromised the American spirit, but now it could be that we are heading for a resurgence. Fracking helped increase total US gas production, and has lead to increased exports of natural gas, and also eliminated our imports of liquid natural gas, saving us $100 billion a year. A side benefit is that most world economies have been stabilized, by tempering oil and gas price increases. This change has also lowered U.S. demand for oil from Venezuela, another regime that hates us. America has begun to regain the independence we cherish. As always, politics rears its ugly head and fracking may lead to the political battle of the Century. According to The Institute for Policy Innovation, the federal government owns 28 percent of U.S. land, including 62 percent of Alaska and 47 percent of 11 Western states. The Obama administration has either delayed or denied drilling permits on these federal lands. Even though alternative energy production is being supported by massive federal subsidies, it has not yet matured to the point of being a viable resource for mass U.S. domestic consumption. Can the United States seize this moment to break the foreign chains that bind us and interfere with our freedom?